In this entry of chicagoblackhawks.com's "85 Years of Blood, Sweat and Cheers" series, Hall of Famer Denis Savard talks about the young career of Patrick Kane. Watching Patrick Kane in action is one of the biggest thrills you can have watching hockey. There are plays he makes, even playing the game as long as I did and watching as many games as I have, that make me say, “How did he do that one?” He’s just fun to watch, simple as that. I absolutely enjoy going to games and watching him play; 20,000 fans at the United Center would agree with me. People often say that Patrick and I play the game the same way, and that’s true, but in some ways I think playing today is a little harder. It’s not that in our day we weren’t good players, but today the guys on the ice are so much faster, stronger and bigger. Patrick is the same size I was in my playing days, but he still makes it look easy at times, even with a stiffer level of competition. On November 17, 1926, the Chicago Black Hawks took the ice for the first time. 85 years later, the Blackhawks hold an important place in NHL history and Chicago sports. In celebration of the Blackhawks’ 85th anniversary, Blackhawks Magazine and chicagoblackhawks.com will profile some of the greatest players to ever don the sweater, with essays written by the people who knew them best: teammates, rivals, broadcasters and other members of the NHL community. 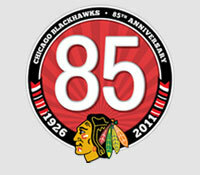 Check chicagoblackhawks.com every Wednesday for another entry in the "85 Years" series. So many guys aren’t ready for what he’s doing on the ice; they’re not expecting that puck to come to them, and all of a sudden the puck goes in their direction. When you play with someone like that, you always have to stay alert because he has vision that a lot of players don’t have, and when you play against someone like that, it makes for a very tough defensive assignment and a long night. I had the privilege of seeing what Patrick could do before most of Chicago, and that was something special. The first time I saw him on the ice was at Prospect Camp before his rookie season in 2007. He and Jonathan Toews were playing on the same line that day and watching them during the scrimmages… well, their dominance was off the charts. From that first day, I knew Patrick was so far above the other kids and that he was going to be a great player. You can usually tell the special ones early on. My first NHL coach was Keith Magnuson, and I never forgot the opportunities he gave me. Sometimes a coach can hurt your confidence, but Keith wasn’t that way – he trusted and encouraged me, and it kept my confidence up even though as a young player, you’re going to have some hard times. I tried to do the same thing as Patrick’s first coach. I think I was able to build his confidence and get him to believe that he was going to be a great player, and even if he made a mistake, he wasn’t going to lose my trust. Whether he made a mistake or not, he was going to keep playing. Let’s face it: Patrick Kane would have played in the NHL and been a great player whether I was his coach or not. But the fact that I gave him the opportunity to play in situations where he could succeed, I think he recognized and appreciated it, and it gave us a special relationship. We still get together often, just to talk about the game and life in general, and I’ve watched him grow into a very good man. We all know that he has the skill, but people don’t really know a lot of things about Patrick away from the ice. I’m going to say this: He’s got a huge heart. Anything – and I mean anything – you ask him for, he’ll give an effort to do it. As far as I’m concerned, these are the things we should talk about. I know he’s got great values, he’s fun to be around, his teammates joke with him a lot, and he likes that. He’s such an underrated piece of the locker room, and he’s a big part of the team’s chemistry. I’m not sure where Patrick’s career will go in the future. Much like I was, I think Patrick is also more of a playmaker than a goal scorer. He’ll always score his 30 goals and then 40 goals as he moves along in his career; it’s not impossible for him to get to 50 someday. I was never able to score 50 goals; my best was 47, but he’s talented enough to get there. Wherever he goes in his career, you know the 2010 Stanley Cup Final goal is going to follow him. It has become one of those moments fans will watch forever and remember. It’s a huge accomplishment, especially as young as he is, to have already won a Stanley Cup, and that’ll stay with him. When Kaner gets to 50 years old like me, they’re still going to be talking about it in Chicago, how he was the only one who saw that puck go in. It’s become part of Blackhawks legend. But when you’re talking about a great young player like Patrick Kane, there are many great chapters still to be written.